You might know the black & white photo of J Dilla sitting in a stark, clean living room, just him at a table with a sampler. This and shots of Madlib taken in Los Angeles that day, were the last that Raph Rashid shot for his 2005 book, Behind the Beat, which captured producers in their living spaces. 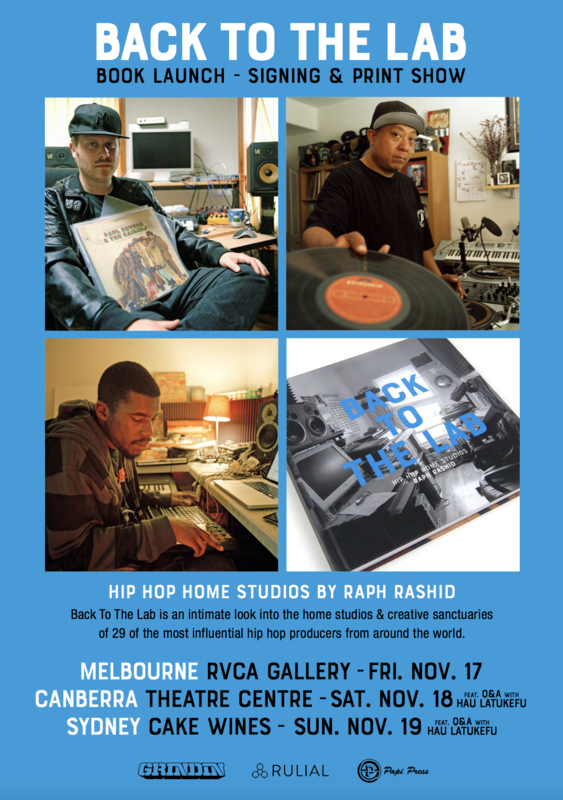 We’re proud to launch this latest book, Back to the Lab, with photos of Flying Lotus, Just Blaze, El-P, Ant, DJ Babu, Mitsu, DJ Jazzy Jeff, Lord Finess, Georgia Anne Muldrow, Dabrye, Waajeed, Oddisee, Alchemist, Harry Love, Oh No, Diamond D, Khalil DJ Vadim, Kenny Dope, Jake One, Rhettmatic, Format, Young RJ, and quite a few more – including a visit with Dilla’s mother, and a look back on that day photographing the King of Beats.